Author Trish McCallan » Upcoming Book News! It’s been a long time since I posted here, but I have news! Here’s the blurb and cover for Bound by Deception. Buy Bound by Deception and lose yourself in this steamy mystery today! 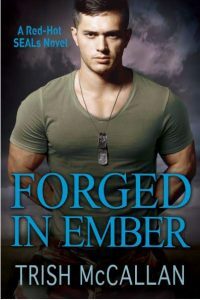 I also have cover and blurb love for Forged in Ember! Just finished with the 3rd book in the Forged series and find out I have to wait over 2 wks to read the last installment!!! Loved the 1st 3…can’t wait for the last! Thanks for a great series!